The DeLorean has arrived and the registrations for the PAC Symposium 2019 'Back to the Future' are open! 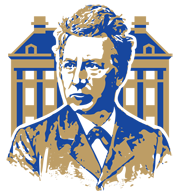 So sign up quickly, using this link or the logo to the left and below, and take the DeLorean to the Vrije Universiteit in Amsterdam on the 7th of March for a day filled with inspiring lectures! Make sure you configured the machine correctly!